Thank you to CoastHills Credit Union for the $1,000 donation to Cottage Children’s Medical Center. CoastHills employees voluntarily contribute to a program called “All In” to raise money for nonprofit organizations. Every quarter a few employees are selected randomly to choose the nonprofit organization that will receive a donation. Amanda Berrier (left) was recently selected and she chose our Neonatal Intensive Care Unit as the gift recipient. 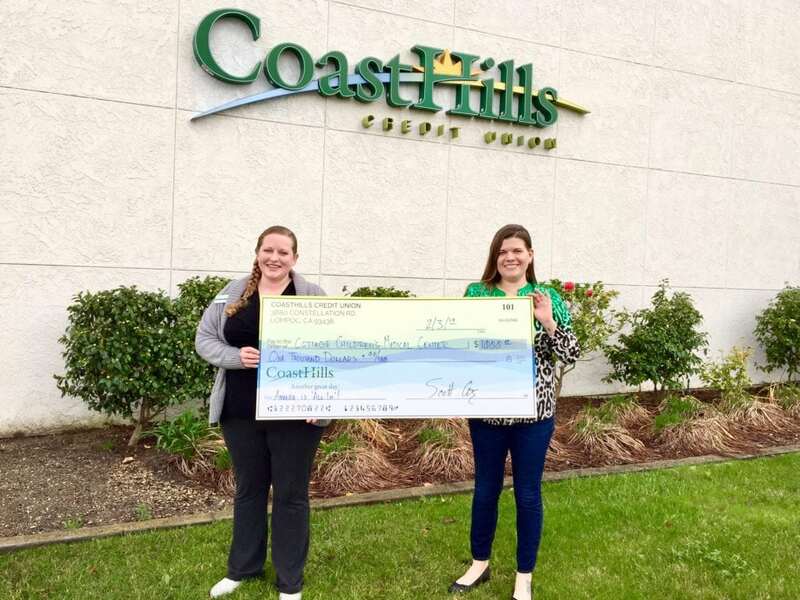 Thank you, Amanda and CoastHills, for your support in helping us care for children on the Central Coast.